Need a powerful, stylish, and affordable sedan? Look no further than the newly redesigned 2019 Kia Forte. With a whole new outer shell and plenty of updated and upgraded features, including a retuned engine with increased efficiency, there’s plenty to love about the 2019 Kia Forte. 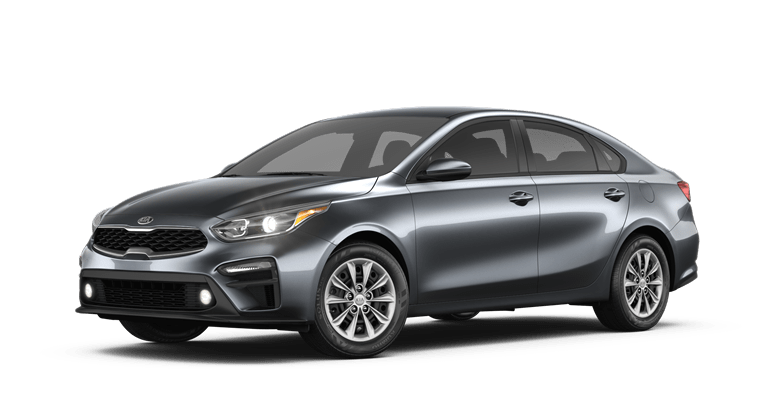 Need to test out the 2019 Kia Forte for yourself? You can find the new Forte in stock and schedule yourself for a test drive here at the Palmen Kia dealership. If it meets your expectations, you can consider our many financing and lease specials available. Check out the current specials on the 2019 Kia Forte listed below! First let’s look at the new look of the 2019 Kia Forte. Returning fans will definitely notice some changes in this department with the new Forte taking many cues from the stylish Kia Stinger sports sedan. Additional changes for the 2019 model of the Forte include gloss black accents, a rear spoiler, exterior LED lighting, and the Launch Edition package with a brand-new Fire Orange body color. Alongside the comfort of the 2019 Kia Forte, there’s a lot of additional tech inside to impress. New, high-tech features are split between safety, driver assistance, and entertainment pieces. The safety suite of features includes Smart Cruise Control and Lane Departure Warning among many others. As for entertainment, the 2019 Kia Forte provides Harmon/Kardon® Premium Audio, Android Auto™ and Apple CarPlay™, UVO infotainment and eServices, Voice Command Navigation, and even wireless charging. Sometimes, the interior of a vehicle can be neglected due to the appealing exterior aesthetics of the build. However, the 2019 Kia Forte does not skimp on making the ride for both drivers and passengers an incredibly comfortable experience. The 2019 Kia Forte offers heated and ventilated seating, leatherette upholstery, and Dual Automatic Temperature Control among other luxuries. To learn more about financing options or available Kia models to lease, including the 2019 Kia Forte, please contact us. The Palmen Kia dealership is located in Kenosha, Wisconsin and serves residents of the greater area of Kenosha County. Reach out online, by phone, or in person to start your journey and get behind the wheel of a lovely 2019 Kia Forte.